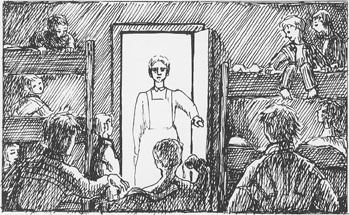 From 1900 the government initiated an extensive program for building boarding schools in Finnmark, and in addition many municipalities built boarding schools. Shortly before the Second World War there were 50 boarding schools, of which only 10 were left after the war and the fires. But the idea of boarding school did not disappear, and most of them were rebuilt. At first as barracks, and later with proper dormitories as before. And the boarding schools were still institutions for Norwegianization. Here some pupils, teachers and employees tells how they experienced life in the boarding schools in the period 1947-70. Guovdageaidnu boarding school was among the first governmental boarding schools, it was completed in 1907 and was built out in the beginning of the 1930's. A boarding-school barracks was built after the war, and Elmine Valkeapää started school there in 1947. She did not get much education, and she is now leader of USKAV (Organisation for lost education due to Second World War). - We stayed at the boarding-school barracks. There the girls were on one side of the corridor while the boys were on the other. The beds were bunk-beds and there were two girls to a bed. The bursar and the maids (assistants) were all Norwegian speakers, nobody spoke proper Sami. The children had to do a lot of work at the boarding-school. We had to wash the dishes, make sandwiches, and fetch firewood and milk. I remember that at the boarding-school we got a lot of fish that had gone off. It was brought in from the coast in autumn so by spring it was rotten. It was completely inedible and there was no way we were even going to try. Instead we went to relations of ours in the village and ate there. Polmak boarding school was among the ones not to be destroyed by the Germans in 1944. Ivar Skotte worked there as teacher and manager of the boarding school from 1950 to 1953. The boarding school was an impressive building. With its three floors on a high foundation wall it really stood out in the landscape. The house was finished in 1938 and had survived both the war and the burning in 1944. There weren't any electricity in the village, but the boarding school had its own generator named Sakkeus. I don't know why. In the room next to the generator there was a room with accumulators. The system was made for the generator to charge the batteries. When they were fully charged we would have enough electricity for the classrooms, the dormitories and for the other rooms in the house, but not for cooking and heating. I soon realized that the maintenance of Sakkeus and the accumulators would be one of the main tasks in my position as manager of the boarding school. The buildings were more than 15 years old, and quite run-down. There shouldn't be spent money on anything, because the village was waiting for electricity. Kraftlaget (an electricity company) had already started setting up poles both for high-voltage and energy distribution network. The boarding school had a system of central heating, which could be heated both with firewood and coke. When we heated with firewood I had to get up at a certain time during the night to fill the stove, otherwise there would be no hot water in the morning, and cold dormitories and classrooms. Coke was transported to the school when the ice on the river Tana was solid. People from the neighborhood were hired to chop firewood and do other kinds of work that could be dangerous. The pupils had the responsibility to pile the firewood and make sure there were always enough firewood in the kitchen and in the boiler room. I can't remember whether there were problems linked to this job. As in any other home it was natural that the children helped out with odd jobs. I was used to this from back home in the farm where I grew up. 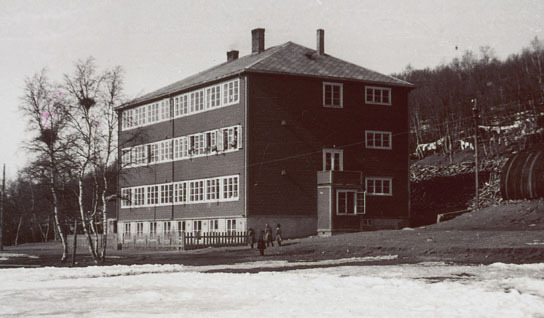 Olav Isaksen was pupil in Breivik boarding school at Sørøya, from 1952. 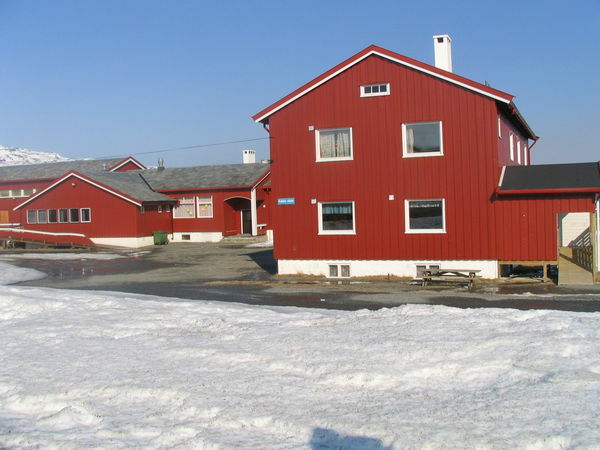 At the time it was still a provisional boarding school building which was in use until the new boarding school was completed in Hasvik in 1956. – I started school in 1952. I attended the lower primary school in the boarding school in Breivik. At the time it was the only boarding school in the municipality that had been reconstructed after the war. The dormitory was in a very poor state, the roof was leaking and there was only an outside lavatory. I remember that the first time I saw a horse was when I came to Breivik. We had cows, sheep and goats in  yfjorden, but no one had horses. The pupils in the boarding school came from different small villages in the municipality. Most of them had Sami background. I think many were in the same situation as I was; the parents spoke Sami among themselves and Norwegian with the children. There were also pupils who came from Breivik in the school. They lived at home, and most of them were Norwegians. There was no division among the children based on their background, everybody played together and nobody stood out. All of us had to do regular chores in the boarding school, saw wood, carry wood and coal and stoke the oven. We had to clean the dishes in the kitchen, all of the cooking pots had to be polished with steel wool. It was a terrible work with that steel wool. Since the roof of the school was in such a bad state we had to showel the snow off the roof to prevent it from falling down. That was our job too. And they sent us to the pier to get fish. There was one matron or house keeper and a maid who cooked for us. We had to eat all the food whether we liked it or not. I can still recall the semolina porridge and the oatmeal porridge. It was not allowed to leave anything on the plate, and we could not leave the table before we had eaten everything. We had two different house keepers while I was there. One of them was very tough and strickt, so when the other one arrived it was as if reaching paradise. At the time one was terribly afraid of lice. I do not think there were lice at Breivik school, but all of our bedlinen was treated with lice-powder, DDT. 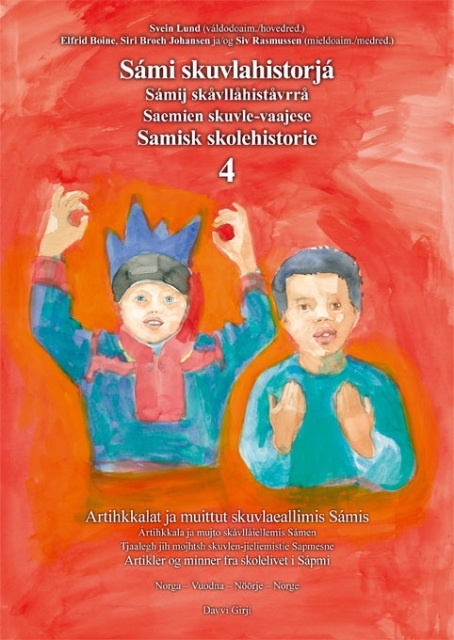 The school was split in two; lower primary school (småskolen) 1.–4., and upper primary school (storskolen) 5.–7. grade. We went to school for four weeks and stayed at home for four weeks while the other class was in the school. We travelled by boat. There was only one teacher at the school, and he taught all the subjects both for the lower- and upper primary school, except for woodwork and needlecraft. The teachers never stayed for a long time, most of them only a year. Neither in the law nor in the language instruction was it stated that the children could not speak their mother tongue amongst them in the school and in the dormitory. We have not found any decision concerning this made by the superintendent of schools either. 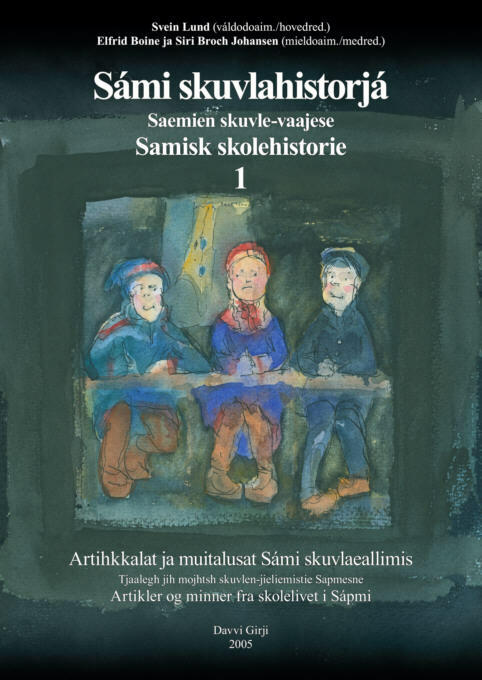 Still many have experienced that it was not allowed to speak Sami in the boarding school, and in many boarding schools along the coast this prohibition lasted for as long as there were any Sami speaking children at all. Bj rn Mathisen, who is among the very youngest Sami speaking who grew up in Kvalsund municipality, tells what it was like when he went to school in Kokelv and Kvalsund from 1960. 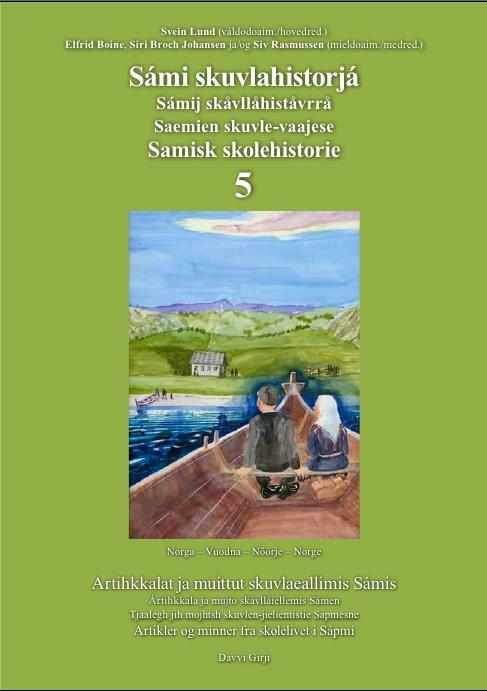 – I knew both Sami and Norwegian when I started school in the boarding school in Kokelv in 1962. 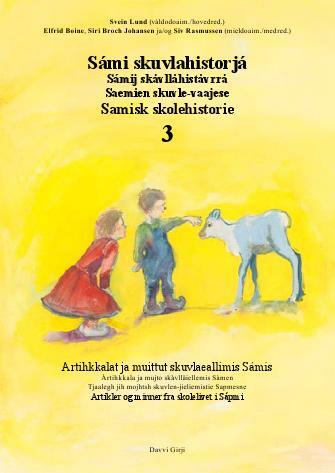 We were three children who spoke Sami. The others came from small villages in Revsbotn. 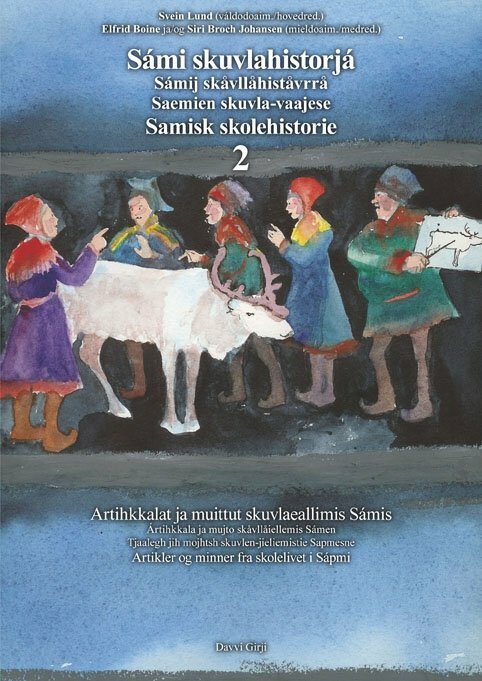 We used to speak Sami together, but we had to do it secretly, because they denied us to speak Sami both in the dormitories and in the school. Since I spoke both Sami and Norwegian from the beginning on, no one could tell from my Norwegian that Sami was my mother tongue. – Both in the school and in the dormitory it was awfully strickt. We were not allowed to go out to play with the other children, we children in the boarding school were to be kept separated. We got very bad food, every night they served oatmeal porridge, and dinner was most often salted herring. How intensely we hated that salted herring! In the basement of the dormitory there was a huge barrel of salted herring, and once we boys destroyed that barrel. Although the fjord was full of fish we rarely got fresh fish. I have one particularly bad memory. There was a barrel of diesel in the furnace basement. Once the diesel flowed into the food basement and onto the sacks of oatmeal. Still they made porridge out of that oatmeal and we had to eat it. The house keeper was not quite good, to put it politely. I vividly remember how when we played she would come and tell us: – You are like wild indians. And when we kept still she would complain that we did not do anything. We did not know what to do, because everything we did was wrong. My cousin worked as assistant in the dormitory. But she was under the command of the house keeper as well. We boys had to fetch milk and food for the school, among other things we had to pull the fish on a sledge from the fish factory. It was very far. And that kind of work had to be done in all kinds of weather. In the dormitory there was a kitchen, a dining hall and a room for playing. We boys lived downstairs and the girls had bedrooms upstairs, we were not allowed to go up there. We had one teacher who lived at the end of the dormitory, otherwise the teachers never came to the dormitory. Anne Kirsten Østby has been pupil, assistant and housekeeper at Grensen boarding school in Karasjok. This is from her story, which Ingjerd Tjelle has written down. In 1962, 18 years old, she were to return to Grensen boarding school where she had spent some of her early years. A lot had changed - among other things there was more cold cuts for the sandwiches. But the practice of giving the teachers who worked at the school better food than the pupils was still the same as when Anne Kirsten was there as a child. - The table was set with a white tablecloth and it was served well for the teachers. They always got the best food, and often something extra in comparison to the students, Anne Kirsten tells, and adds that the four years in Grensen boarding school was nice and included a lot of time spent together with the children. - We who were working in the dormitory used to play a lot of ball and play Yatzy with the pupils, and they also used to come visit us often in our rooms.